Republican senators want to sell your National Forests, Wildernesses and Wildlife Refuges. But they can't sell your National Parks, Monuments or Preserves. Here's how all the different types of public land are different. And why you should care. Wait, What's This Got To Do With Politics? As a recap, nearly the entire GOP senate just made a symbolic vote in order to demonstrate its resolve to sell-off some lands currently owned and administered by the federal government. With little demonstrable will among constituents in their own states, the reason for this sudden interest in States' Rights is a bit puzzling. Until you realized that concerted campaigns for privatization are underway across western States thanks to funding and support from special interest groups like ALEC and Americans For Prosperity, otherwise known as ExxonMobil and the Koch brothers. Under federal ownership, public lands enjoy a variety of strong protections that we'll explain here. Those same protections don't necessarily exist if ownership is transferred to individual states, potentially paving the way (possibly quite literally) for destructive exploitation by private industry or even the transfer of these lands to private ownership. The fear is, the success of this budgetary amendment could lead to an actual push to put such an arrangement into law. The argument for such a move is masked in small government, states' rights and good ol' fashioned capitalism, but rather than being a logical conclusion of conservative values, it instead clashes directly with the conservation movement that was begun by the Republican party's most famous leaders in order to protect our country's natural beauty and environment for future citizens. And, as a result, conservative organizations like Backcountry Hunters & Anglers are up in arms. "Public lands are the fabric that binds America together," stated BHA executive director Land Tawney. "Nationally, an organized, concerted movement is underway to sell off and limit access to America's public lands and waters. These are not merely the actions of a lunatic fringe. Now is the time to double down and fight back against this ill-conceived idea." National Park: Created by an act of Congress and signed into law by the President, National Parks are our most protected lands. Typically centered around an area of extraordinary national beauty, historical significance or natural importance, Parks are administered by their own agency — The National Parks Service — within the Department of the Interior. On the 84 million acres of National Park land, there's no grazing, mining, forestry, hunting or off-road vehicles allowed and regulations for visitors can be quite restrictive in terms of areas where you're allowed to camp, have a fire or bring your dog. But, priority is given to outdoor recreation and parks are probably the most accessible land in the country, with infrastructure in place to make pursuits like hiking, nature watching, paddling and similar uniquely accessible to the public at large. If you're new to camping, the best advice I can give you is to visit a National Park. No matter which one you go to, you'll find beautiful views, clean facilities and an accesible, safe experience. As an experienced outdoorsman, I like knowing that National Parks have consistent rules and policies across the country; if I need a place to camp a the last minute, late at night, I know I can find that at a National Park and I know what to expect. The Parks Service charges a $10-25 entrance fee per car, an amount that can be paid upon departure if you arrive after the gate closes for the night and which is reinvested in maintaining and preserving the park. Or, do what I do and buy an annual pass for $80. That's a good deal and supports a good cause. It is possible to disband a National Park, although doing so is exceedingly rare. Seven national parks have been closed in the system's 99-year history, with all of them going on to be included in other, significant conservation entities. The National Park Service says over 298 million people visit its parks each year, that includes Monuments and Preserves. Its annual budget is nearly $3 billion. To put that in perspective, it's less than the cost of a single B-2 Stealth Bomber, adjusted for inflation from 1997 to 2015. National Monument: Similar protections to a National Park and run by the Parks Service, but these can be created from federally-owned land by a proclamation from the President, without an act of Congress. That's a tool that can be uses to extend Park-level protection to an at-risk area, particularly during this era of political obstruction. The first National Monument, Devil's Tower in Wyoming, was created by Teddy Roosevelt because he felt Congress was moving too slowly to protect it. Others include sites of significant historic or natural significance like the Statue of Liberty or the Gila Cliff Dwellings in New Mexico. During his tenure, the President has established 10 new national monuments. Thanks Obama. National Preserve: Also protected by the National Park service, Preserves are designated by Congress, but are unique in the National Park system in that they allow some controlled use for hunting, fishing and resource exploitation. What's allowed on each Preserve and how it's controlled or regulated is defined in the enabling legislation and is unique to each. National Forest and Grassland: Created by the Land Revision Act of 1891, these are managed resources where stuff like hunting, logging, mining and grazing are permitted, but regulated by the United States Forest Service, a division of the Department of Agriculture. This designation is the result of lobbying by Abbot Kinney, Theodore Lukens and other Los Angeles business owners who saw damage flowing downstream from the San Gabriel Mountains due to intensive ranching and mining. National Forests cover 190 million acres or 8.5 percent of the United States' land area. They're awesome places to recreate due to their protected nature, but permissive regulations. This is where you can go hunting, hang out with your dog or explore vast areas on your dirt bike. Transferring ownership of the lands to individual states would reduce the protections they enjoy, increase exploitation of their resources, open the door to private ownership of them and potentially reduce or eliminate access for sportsmen, campers and the general public. 32 million people visit National Forests each year for recreation and Forest Service states that economic activities on its land "contribute $36 billion to America's economy each year supporting nearly 450,000 jobs." National Wildlife Refuges: These do what they sound like, providing habitats for native species of animals, plants and fish. They're managed by the United States Fish and Wildlife Service and cover 150 million acres, providing home to 700 species of birds, 220 species of mammal, 250 types of reptile and amphibian and over 1,000 different types of fish. These are managed use lands that permit and control hunting and fishing, as well as many types of outdoor recreation, including OHV use. 45 million people visit National Wildlife refuges each year, generating $1.7 billion in and creating 27,000 jobs for local economies. National Wilderness: Defined as, "an area where the earth and community of life are untrammeled by man, where man himself is a visitor who does not remain…an area of undeveloped Federal land retaining its primeval character and influence, without permanent improvements or human habitation, which is protected and managed so as to preserve its natural conditions." These can exist across other types of public land or exist on their own, so they're administered by the National Park Service, Forest Service, Fish and Wildlife or the Bureau of Land Management as applicable. There's 110 million acres of Wilderness in the United States, most of which exists within National Forests. Created by the National Wilderness Act of 1964, these areas (designated by Congress) enjoy an extraordinary level of regulation for visitors that exceeds even that of National Parks. You can visit them on foot or horseback, but you can't have a fire and must pack out all trash. Having said that, there is managed use for hunters, fishers and across other types of recreation, so long as they're non-invasive. No development of any kind is allowed, including road building, but there is some grandfathered use by miners and farmers who use some parts of the land for grazing. Goals of the National Wilderness Preservation System include air and water quality as well as habitat for threatened and endangered species. As some of the most unspoiled and remote land in the country (if not the world), these areas can be difficult to visit; numbers of people who do are not collected and it's probably safe to say that many parts of the system go unvisited altogether. 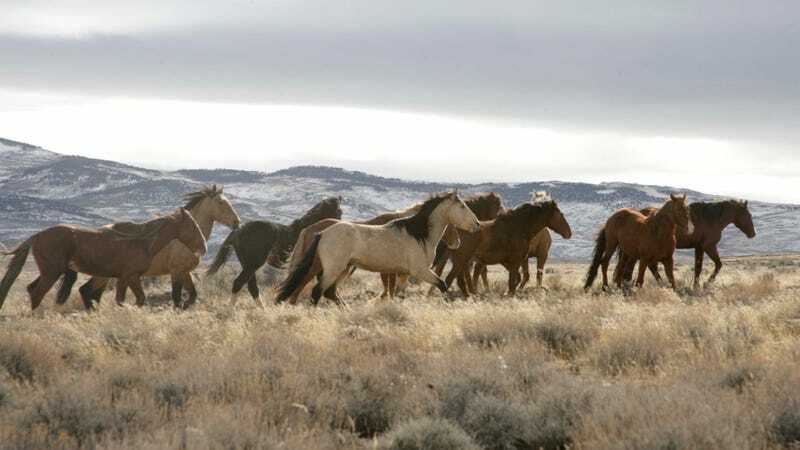 Bureau of Land Management: Originally dubbed, "Land no one wanted," the BLM administers land that was left behind after the Homestead Act because no one settled it. Making up 247 million acres of nearly one-eighth of the country's total land area, BLM land covers vast swaths of the American west. 155 million acres of that is used for grazing, while the BLM also administers everything from coal leases to lumber to mining. Protections vary by area, but are generally minimal and permissive. I often visit BLM land in California to shoot guns and they can also be used for hunting, camping, off-highway vehicles and most other recreational stuff. The BLM's mission is, "to sustain the health, diversity, and productivity of the public lands for the use and enjoyment of present and future generations." And it earns significant revenue through that management, dividing its $6.2 billion annual revenue between federal and state governments and Native American tribes.